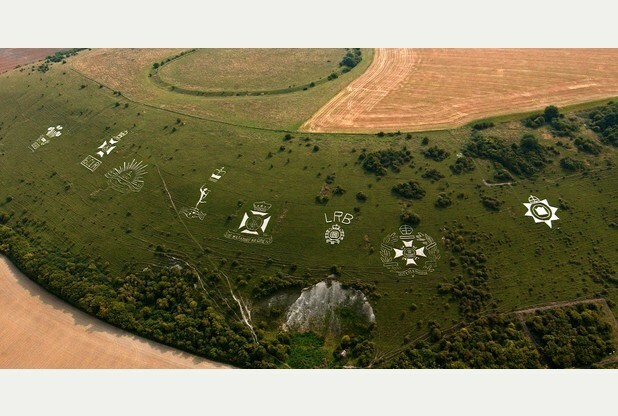 Visiting Dorset – See it all from a Hot Air Balloon! Dorset, Situated in the South West of England offers a varied and diverse landscape. From dramatic fossil layered cliffs and blue flag beaches to beautiful countryside with pretty villages, there is something for everyone in Dorset. And what better way to see it all than from the sky! A hot air balloon ride with Aerosaurus Balloons over Dorset will see you meeting at one of our handpicked launch sites in the region either at dawn or dusk. You will spend around 3 – 4 hours with us in total to enjoy a full ballooning experience. Once at the launch site you will help participate in the set-up of the balloon and preparation for launch. You will receive a safety briefing from our highly experienced Pilot before entering the basket, which can carry up to 16 passengers (plus the Pilot!). Once the Pilot has completed his final safety check, you will drift gently into the air and watch as the scenery expands before your eyes. Each flight takes a unique path as the balloon floats idly along with the wind taking you over the rolling countryside, medieval towns and unspoilt heathland. Views can often be seen as far as the Severn Bridge, Poole, Bournemouth and Lyme Bay! Each basket is divided into compartments, meaning that everyone has a ringside view! One of England’s oldest towns is Shaftesbury, the setting for the Hovis bread advert with the steep, cobbled Gold Hill, also loved by Thomas Hardy and used in some of his novels. Not surprisingly, Shaftesbury is one of our most popular locations for Balloon Flights with passengers viewing the medieval town from the sky and floating over the Blackmore Vale, the Fovant Badges and towards the Wiltshire Downs. Sherborne is another popular choice with our passengers, most recently featuring as Casterbridge in the 2015 movie adaption of Thomas Hardy’s ‘Far From the Maddening Crowd’. Nestled in wooded hills and green valleys, the historic Ham Stone town has an abundance of beautiful ancient buildings and two Castles. Flights from Sherborne often offer a view of the Abbey and Sherborne Castle built by Sir Walter Raleigh in 1594. 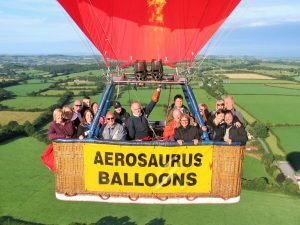 Aerosaurus Balloons offer hot air balloon rides across the whole of the South West including Wiltshire, Bristol, Bath, South Wales, Somerset, Devon & Cornwall!